Ho Chi Minh City is one of my favorite cities in Southeast Asia. The vibrant roads filled with motorbikes, street food stalls selling piping hot bowls of noodles, and the daily life of its people. Several fun things to do in Saigon await travelers visiting the city for few days or even those who only consider it as a jump-off point to other destinations in Vietnam. 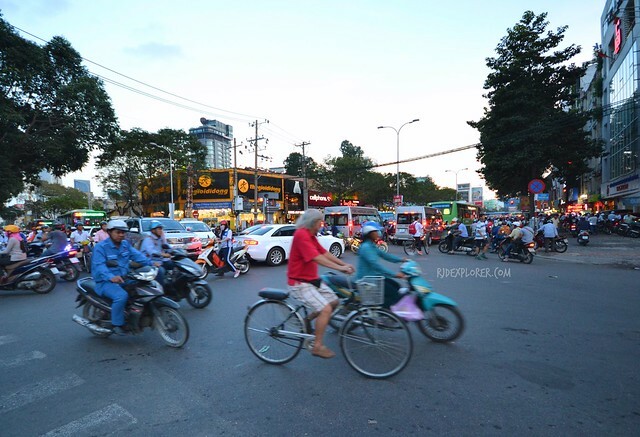 Few travelers I’ve met on my Southeast Asian trips hate Saigon because of its traffic. But for me, the chaotic avenues provide a certain charm you can’t find in any major city in Southeast Asia. When you find yourself on the noisy streets of Ho Chi Minh City any time in the future, make the most out of it with these exciting things to do. Some require few thousands of dongs but others are free. Nonetheless, these activities will surely give you a good time on your stay. Vietnam has an interesting and expressive history and its culture is considered one of the oldest in Southeast Asia. Museums and historical landmarks have shreds of evidence and collections that preserve these vivid images of Vietnam’s past. Recommended places are the Reunification Palace and War Remnants Museum. Entrance fees are VND30,000 and VND15,000, respectively. Disturbing images of innocent Vietnamese people during the war. If you’re done checking every floor and hall of the Reunification Palace, make your way to War Remnants Museum located a few blocks away. 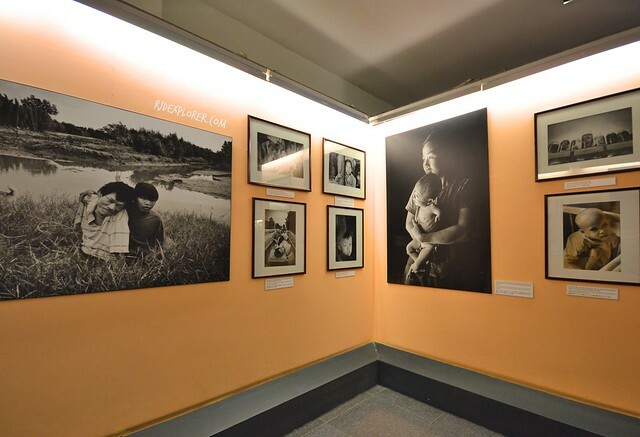 The different exhibits at the museum narrate the suffering that the Vietnamese people had during the war. One of the disturbing sections in the museum is the collection of documentary photos on the shattering effects of Agent Orange. The chemical affected millions of lives and left a scar that will forever remind them of the war. To make the mood light from the museum tour, continue your Saigon tour by visiting a local market. Infamous one for the pushy local vendors that instantly offer you their products is Ben Thanh Market. Most tourists head their way here because it is centrally located in the city. From handicrafts, clothing, fashion accessories, to local products, it’s a perfect venue for souvenir shopping. Ben Thanh Market for souvenir shopping. Another option but several kilometers from the center is Binh Thay Market, a 5-minute walk from Cho Lon Bus Station. 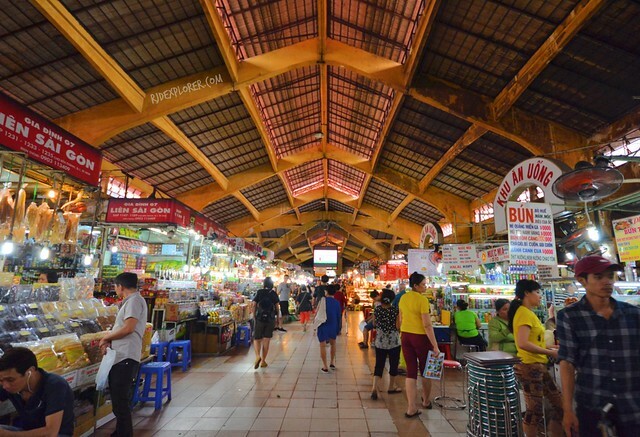 The lesser popularity of this market compared to Ben Thanh makes it a great market encounter experience. Vendors don’t mind tourists roaming around so you can freely choose items without vendors bothering you. Garments, housewares, colorful beans, and natural candies are easy to spot on your visit. France colonized Vietnam for few decades, hence the French colonial buildings. 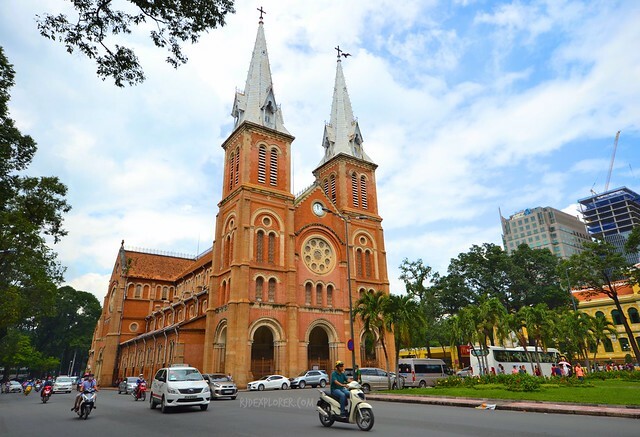 In Saigon, you can spot evidence of the colonization with structures like the Central Post Office, Notre Dame Cathedral, Saigon Opera House, Ho Chi Minh City Hall, and hotels like Hotel Majestic Saigon, and Hotel Continental. Cathedral Basilica of Our Lady of Immaculate Concepcion, commonly known as Notre Dame Cathedral. 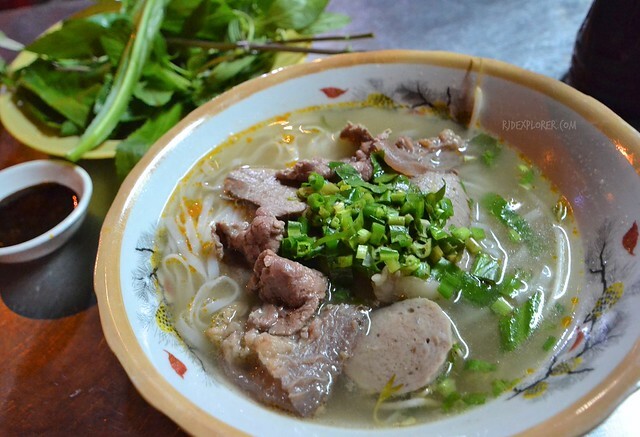 Vietnam is famous for its noodle soups and one of the prominent options is pho. The noodle soup originated in Northern Vietnam and the southern provinces of the country made their own versions a little bit complex than the simple take of the north. Pho is available on different versions and meat but the famous ones are pho ga (chicken noodle soup) and pho bo (beef noodle soup). Generous bowl of pho for VND25,000. You can find restaurants and food stalls everywhere in the city and can get a hefty bowl for as low as VND25,000. Aside from the savory broth and soft and chewy noodles, the soup comes with a plateful of greens, dipping sauces, and some chili paste. Don’t forget to squeeze a lime on your noodle! If you love coffee as much as I do, then ordering a Vietnamese coffee on your wandering around Saigon will be a default. There are restaurants in Ho Chi Minh City where you can avail the coffee but best places are stalls on the side-street. Look for a perfect spot and settle on one of those plastic stools while you wait for your reward. 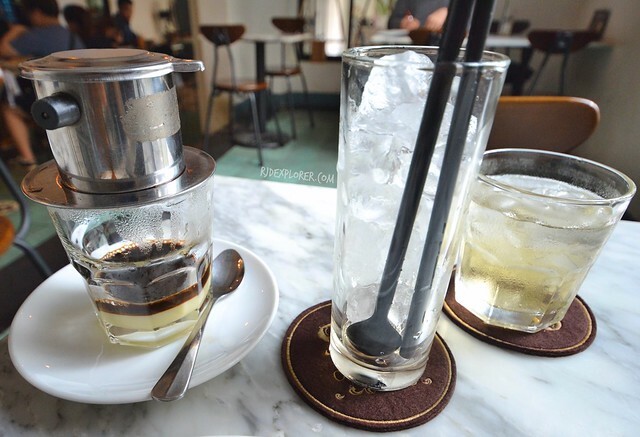 Famous Vietnamese coffee is served on tiny canister filters with the strong liquid dripping from the phin filter. You can smell the aroma of the coffee beans even before the crew arrived at your table. Most travelers order the coffee with sweetened condensed milk that balances the bitterness of the coffee. Wait and observe the layers of perfection made by the dripping coffee and the sweetened milk. I remember one time while walking back to my accommodation, a speeding motorbike joined me on the sidewalk. The event stunned me and I needed to stay in one corner of an intersection to calm myself. While standing next to a post, I noticed the vehicles on the junction. There were no traffic lights yet you can see the synchronization of motorists traversing the highway. I spent around ten minutes just enjoying the traffic scene. Saigon is famous for its rooftop bars that are great spots to enjoy a cocktail from sundown ’til late night. If it’s not your thing, the city has several districts and each has its own take on the flourishing food scene. Perfect activity to discover the hidden gastronomic gems of the city is through a night food tour. Enjoy Vietnamese cuisine and fill your tummy with the best noodle soups, grilled meats, and desserts. Night food tours are not your usual fancy degustation but an immersion with Saigon’s food culture. Why? Because you’ll eat where the locals eat! 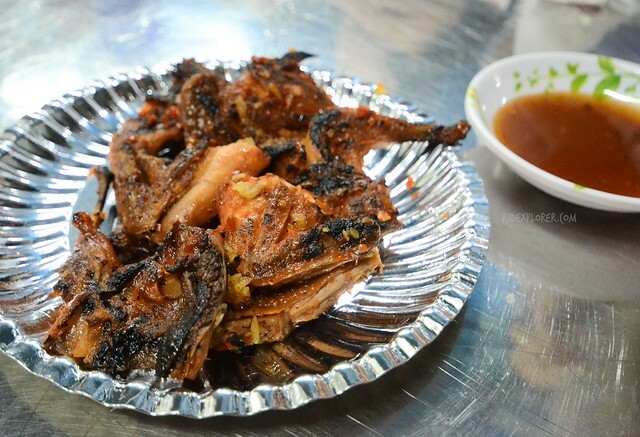 Grilled quail meat. Tastes like chicken! Ho Chi Minh City, still famous as Saigon, has varied activities available for tourists. History is one of the things that the city offers to its visitors but all throughout these years, exciting activities emerged that really make every visit in Saigon a new and interesting one. Disclosure: This post is made possible and sponsored by Accor Hotels.